The Ford Torino was originally marketed as an upscale version of the intermediate Fairlane sedan, and eventually the Torino name took the lead from Fairlane. The Torino was available in sedan, coupe, convertible and wagon trim, but none was as cool as the fastback (aka Sportsroof). 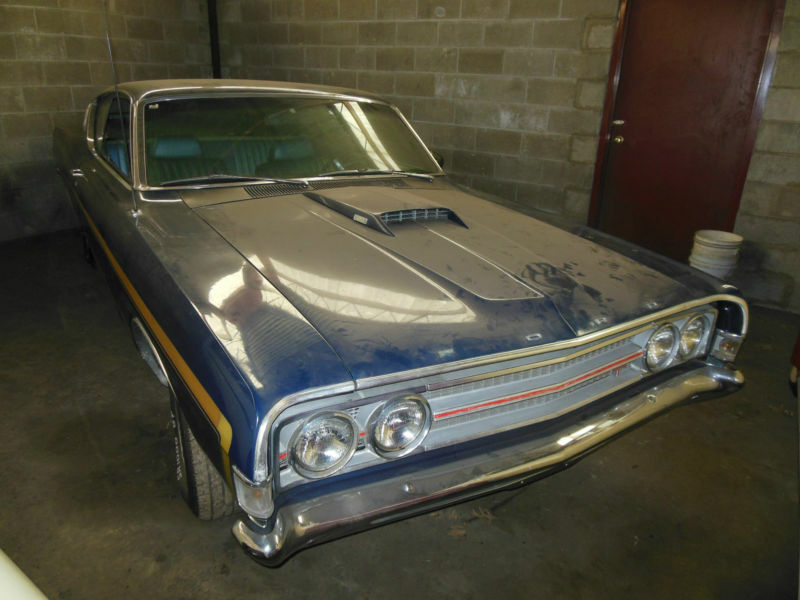 This 1969 Ford Torino GT Fastback is equipped with 351W and 4spd trans, located in Parkersburg, WV and is currently bidding on ebay for $4,494 with 4 days to go. 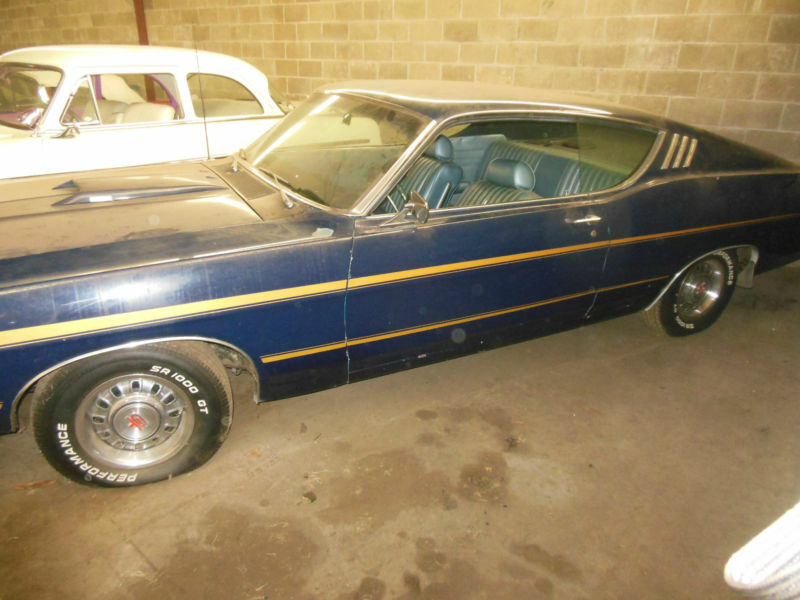 This Torino is being sold as a 'barn-find,' but we sense that there may be some showmanship associated with the dusty look. To the sellers credit, he did post an update disclosing that his original assumption about original paint/4spd was incorrect and with the help of some keen-eye'd viewers determined that the 4spd had been swapped in and the dark blue paint is a respray. It is not a huge concern as the seller has almost 5000 auctions for random car parts, so we believe his story about selling for a friend. The fastback is powered by a 351 windsor V8, a 5.8 liter torque monster that would have put out 290 horsepower when new. The engine bay shows some signs of oxidation/rust, but it is nothing that couldn't be cleaned up or ignored. 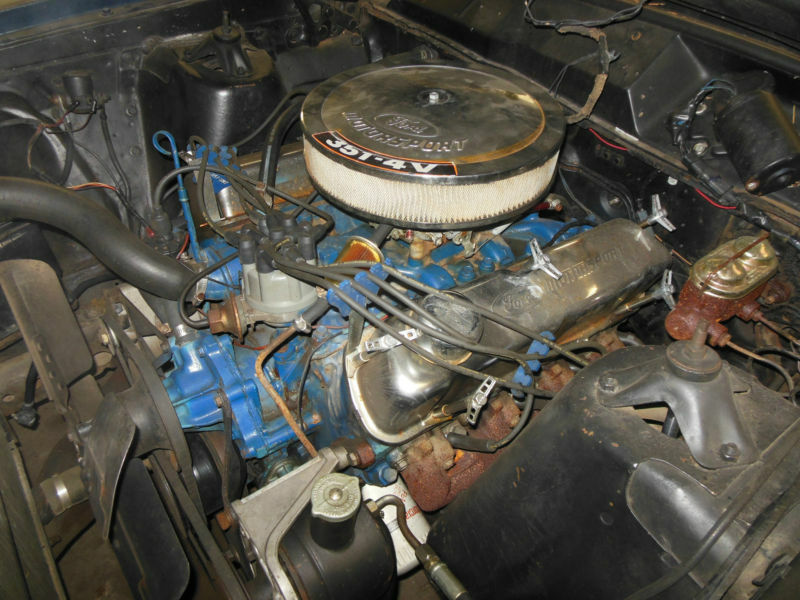 The Torino shares many components with the ever popular Mustang, so getting spare parts from your local auto parts store or a bevy of online retailers isn't a problem. We really like the Blue Angels paint scheme and wouldn't want to over restore this patina'd classic. It would be an excellent candidate for a minor mechanical restoration and then drive it around as a survivor. Expect lots of thumbs up and random car people following you around. Hmmmm... what I do NOT see on this car is a brake booster or the wider brake pedal that Ford used to install on cars with power brakes. IIRC, no power brakes on a '69 Torino meant that you got four-wheel drums. From terrifying personal experience with my Dad's '69 Torino back in the day, that is a scary prospect, especially since this car has the 351-4bbl, and my Dad's only had a 302-2bbl. Frankly, the wider brake pedal should have been used on the 4-drum-brake cars, because you needed that extra room to get both feet on the pedal. Whoa, Nellie, whoa! Is thiscar still for sale?